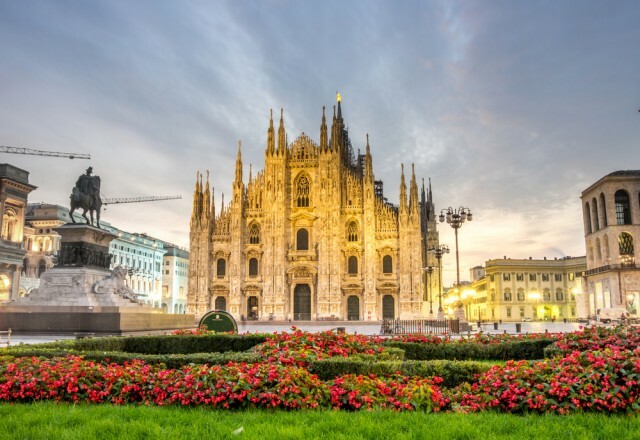 This week we brought you the most amazing Europe vacation packages you an imagine to all sorts of beautiful destinations including Milan and Lake Como escapes for $2,005 per person. The 8 nights vacation packages include round-trip flight to Milan, airport transfer, car rental in Lake Como, 4 nights hotel in Milan, 4 nights hotel at Lake Como, breakfasts and taxes. If you prefer Greece, you can book an escorted, land only getaway from $909 per person, if you are a fan of Spain, you can get Barcelona escapes with air from $1,149 pp and if you want to see more of Europe, get a 6 city Eastern Europe vacation from $2,599 pp. Act fast, the best ones might be sold out in any minute! If you want to book the Mialno and Lake Como vacation for the best price, you should depart from John F. Kennedy International Airport (JFK) in New York. Other departure locations and trip lengths are also available but for different prices. To make sure that you have booked the best deal, you should compare the prices of several other providers in the box below to see no one has got a better offer than the one we have found.